The alternative-media revolution of the last twenty years has smashed the liberal monopoly over news outlets and created a true marketplace of ideas. Rather than fight back with their own beliefs, today’s liberals work relentlessly to smother this new universe of political discourse under a tangle of campaign finance reform and media regulations. Bestselling author Brian Anderson and Adam Thierer examine the crucial place of free political speech in our nation’s history, from the feisty polemics of Revolutionary-era pamphlets to the explosion of new media in the twenty-first century. Today, shockingly, freedom of political speech in America is facing sustained attacks unlike anything since the Alien and Sedition Acts of 1798. Anderson and Thierer debunk the principal arguments made in support of this counter-revolutionary effort, exposing the McCain-Feingold Act of 2002 and recent FEC and FCC regulations of the blogosphere and airwaves as devastating muzzles on free speech. 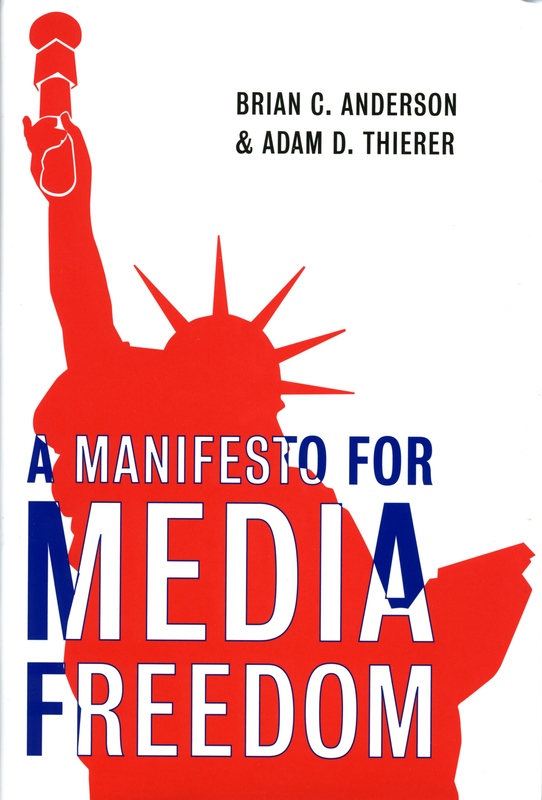 A Manifesto for Media Freedom is both a wake-up call for all Americans who care about their most fundamental rights and a strategy to guarantee an unfettered marketplace of ideas. Brian C. Anderson is the editor of City Journal, the cultural and political quarterly published by the Manhattan Institute for Policy Research. He writes extensively on social and political trends and is the author of the bestselling book, South Park Conservatives: The Revolt against Liberal Media Bias.